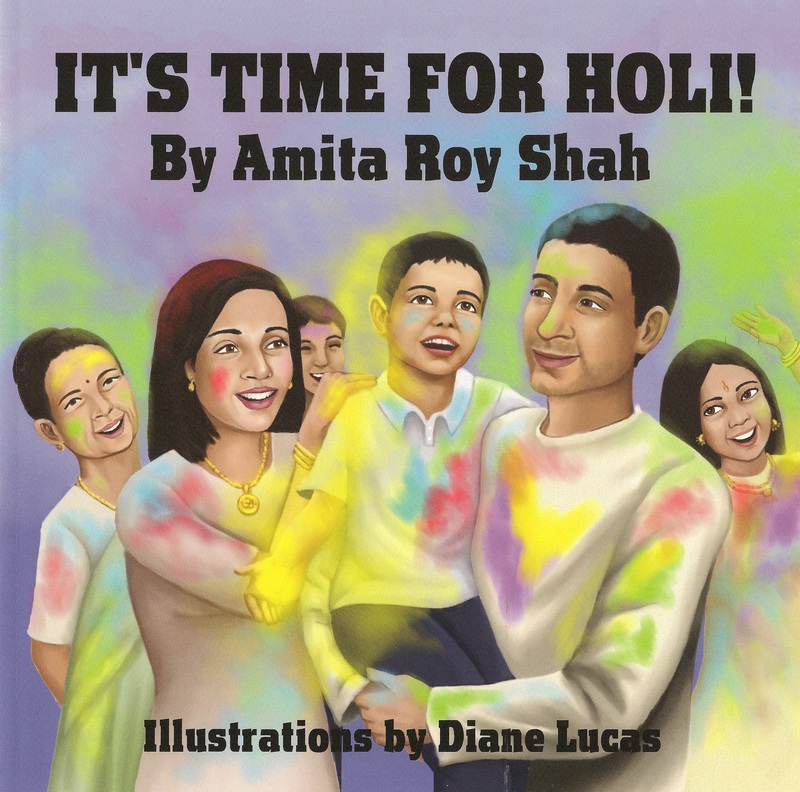 Dublin parent and author Amita Roy Shah wrote the children’s book “It’s Time for Holi!” to help all children get a better understanding of the Indian culture, and in particular, to help children of Indian descent connect with their culture, while growing up in America. The book has been well received and was included on the 2011 KART Kids Books List in the early grade school K-3 category. The Kart Foundation reviewed over 1,000 books to create the selective list. Ms. Shah is promoting the book with readings in classrooms across the Bay Area, while working towards a Doctor of Education (Ed.D) in Curriculum and Teaching at Columbia University. Her doctoral research is focused on the experience of South Asian Americans who decide to pursue a career in teaching. OneDublin.org recently met with Ms. Shah to learn more about the Hindu festival Holi, also known as the festival of colors, and how incorporating multicultural celebrations in the classroom can help break through stereotypes and promote cultural understanding. Bonfires are lit on the eve of the festival and during Holi people throw perfumed and colored powder at each other in a celebration of color and inclusion. OneDublin.org: What is the history of Holi? Amita Roy Shah: “There are several stories that stem from Indian folklore. One story is about a blue god named Krishna who was being made fun of by his friends for being blue. Krishna went to his mother and she playfully said take these colors, we are all the same, and throw them on everyone else, and you won’t feel different anymore. So that’s what he did. Holi is about addressing discrimination in terms of race, class, religion, and eliminating that difference. There is an erasure of difference by having everyone covered with color. OneDublin.org: What inspired you to write “It’s Time for Holi!”? Shah: “As our nation becomes more multi-ethnic, multi-racial, and multi-linguistic, I feel we need to be more inclusive. I’ve been a teacher for the Los Angeles Unified School District and I’ve developed curriculum all across California for non-profits, and every time multicultural celebrations came up and I needed to find read along books for kids, I only found certain cultures – Chinese New Year, Kwanza, Ramadan, Hanukkah and Christmas of course, but nothing for Indian culture. This was back in 2003-4 when I was teaching and I assumed that someone would eventually write a children’s book on Indian culture – I thought something was coming. “When my son was born I decided if I don’t do this, then I don’t think he’ll have a book that validates his experiences. Growing up as a second generation South Asian, it was very difficult for me to understand ‘Who am I?’ in the United States – my bi-cultural identity. ‘Am I Indian?’ I’m Indian at home and American at school. A lot of the books I had my parents and in-laws bring back from India were about kids in India, and not realistic for what Indian kids experience in America. 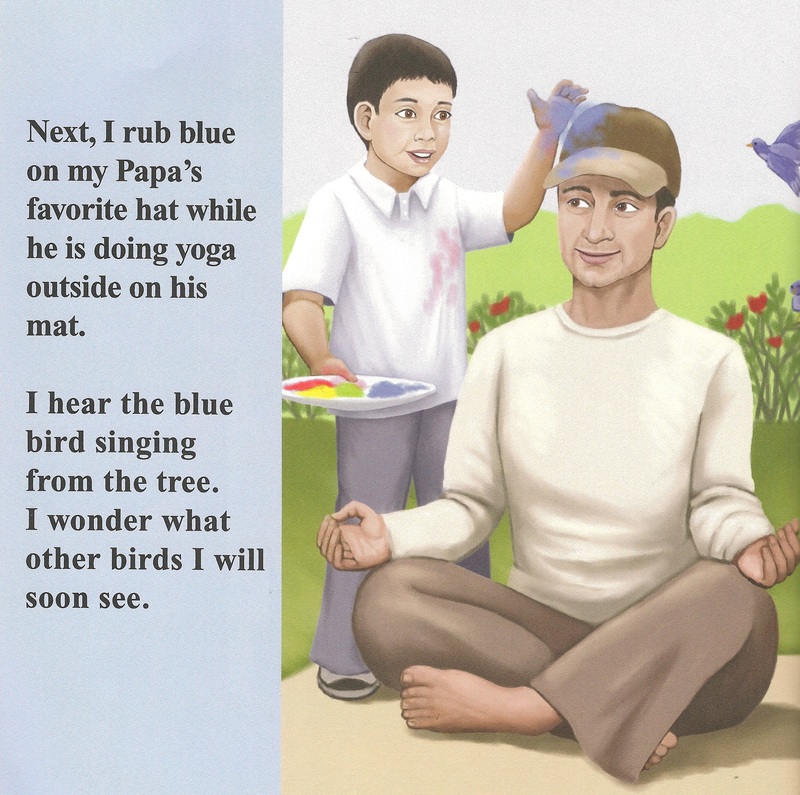 The books didn’t reflect what my son will experience – being Indian and living in America. “I decided if I don’t write a book for the third generation, to provide a book where children can see themselves, it not going to happen. I wrote the manuscript while I was already reviewing read-aloud books every day for my job, so I had a good idea of how the book should be structured. I picked Holi because it could be easily incorporated into the classroom, building on the teaching of colors and seasons. OneDublin.org: What questions do you get from students at the book readings you’ve held at schools? OneDublin.org: How have the schools you’ve worked with reacted to introducing Holi to students? OneDublin.org: Are things improving, is it getting easier for second generation students? OneDublin.org: With the pressure on standardized test scores, is integrating culture in the classroom possible? OneDublin.org: What guidance do you have for parents and educators looking to promote a multi-cultural society? Amita Roy Shah earned a B.A. in International Studies / Business Management at the University of California – Irvine, a Masters in Education from Pepperdine University and is working towards a Ed.D. in Curriculum and Teaching at Columbia University. 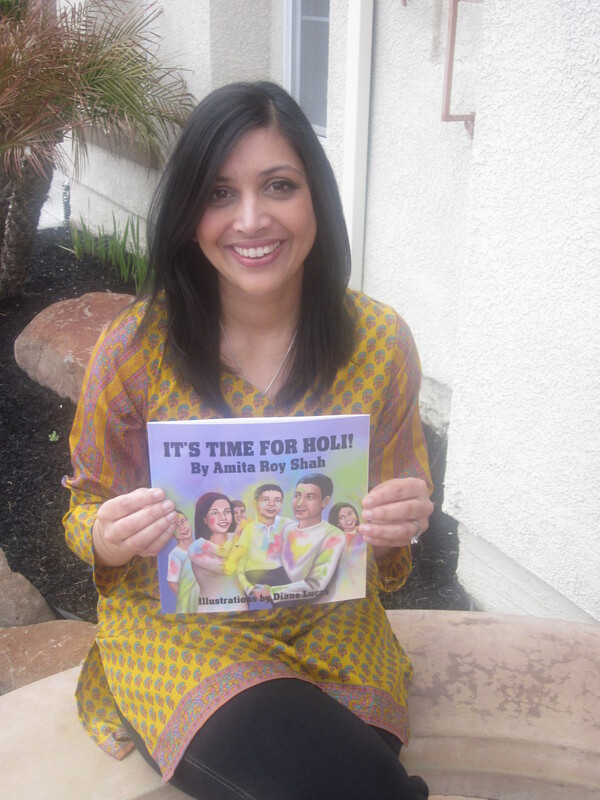 “It’s Time for Holi” is available in major bookstores, on Amazon.com and as an iBook via iTunes.